In one of my previous articles I spoke about the positive aspects of online gambling. In this article I’m going to discuss the negative side of it. Online casinos are not real. They only exist online or if you will in cyberspace. You can’t visit them, you can’t touch them or the games-strictly speaking it’s all virtual. You only get to experience them through your computer in your home. One of the distinct disadvantages of gambling online is that you can’t go there, which is equally profound. In a land-based setting if you’re not happy with the service or something else you can always approach a real-life human being. There are no laws that govern cyberspace, no sheriff to tote the gun and to enforce the law. When you step through those virtual doors you’re on your own. If you have a problem most online casinos will try and solve it. In the United States the legality has become a problem due to the fact that some members of congress oppose it. There are still thousands of operators that are not regulated in reputable jurisdictions such as Alderney, Gibraltar, Isle of Man, Malta or the United Kingdom. Signing up at an unlicensed operator is not only risky for the player but can get the operator blacklisted too. Sadly, online gambling for the most part still lacks proper regulation. If an operator misbehaved, you can’t challenge them in a legal sense. More often than not they are fully aware of this hence the reason they keep on doing what they do. As a player it is your responsibility to do due diligence on a site before you sign up. One of the caveats I have with online gambling is that it’s very easy to deposit your funds but rather difficult to get it out. Case in point:I would not recommend any Affactive casinos since this brand has been rogued by most reputable portals. Reason being it’s well known for dragging its feet when it comes to player payments especially large wins. This group was also blacklisted by Casinolistings.com due to its unethical withdrawal policy in paying player winnings. Incidentally it also accepts players from the United States. The best way to get your money back fast is to set up an ewallet like Neteller or Skrill. Most operators payout withdrawal requests via this method within 48 hours. 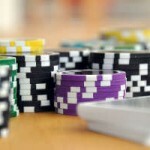 There have been cases where online casinos took more than three months to process a simple player payment. If an operator takes too long to process your payment it’s in your best interest not to register an account with it. Make sure that progressive wins are not tied in with the withdrawal limit. There are still operators out there, especially the Playtech casinos that include progressive wins in their withdrawal limit. How does it work? If you manage a win of $200,000 and the monthly withdrawal limit is $5,000, it will take more than two years before you’re paid in full. This is one of the reasons why I’m not a fan of Playtech any more, as a player I prefer the NetEnt software since it covers all bases. At the end of the day it is all about service. When you have a query, what kind of solution does the operator offer? As a player I highly recommend CasinoLuck.com, this operator is licensed in Malta. It offers fast payouts and superb customer service. Other operators might not be as good. The quality of the customer service, the problem you’re experiencing and the caliber of the service agent all boils down on your ability to explain the nature of your query supported by relevant documentation. Always save records of your transactions in files on your computer, in the event of a financial dispute this will prove your point and help the agent handling your query. Not all the negative aspects of gaming are the result of online casinos. There are many cases where players have abused the casinos. They can abuse the operator through chat rooms that accompany multiplayer games such as blackjack, pai gow poker and poker. Player attacks come in the form of hackers trying to hack the games for personal benefit or into the site’s database. The latter kind of abuse is the worst kind. To safeguard their customers’ financial and personal information, web casinos use multi-tiered security protocols to protect their data against hackers and to blacklist abusive players. How Can A Player Get Blacklisted? Players can get blacklisted by an online casino if they use someone’s credit card or personal information to open an account. If they dispute charges or threaten to dispute charges. Hacking or game manipulation will also land you in hot water or if you open more than one account per household or computer. The reason for this is simple, operators don’t like awarding their bonuses more than once since it could be the same person using different screen names or separate deposits. One of the biggest problems operators face are the disputing of charges. The industry term for this is ”charge back”. Once you’re blacklisted you won’t be allowed to wager at any site. Truth be told, it’s like a police record which will follow you wherever you go. 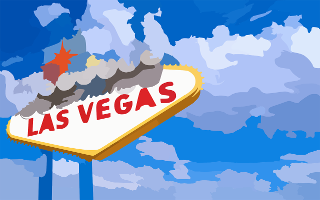 It’s in your best interest that the games offered by online casinos reflect that of Vegas rules and standards. I must admit the game graphics of the Microgaming and NetEnt games are excellent and even better. The rules about how the games are played might differ from the US-based standard, I might add not always for the better, especially for games like blackjack, poker games and video poker. How much does the operator charge you to make a withdrawal? Check if there are any ”hidden fees”. Will they refund these fees? Answers to these questions are normally found in the FAQ section. If you have a payment dispute with an operator or if the casino’s response was elusive or unfair don’t give up. 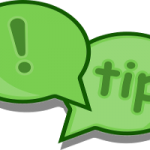 Post a message in various gambling forums such as The Pogg, AskGamblers, Casinomeister, GPWA or Affiliate Guard Dog. Not only will this get your dispute many eyeballs but will draw the operator’s attention. Casinos are fully aware of the damage caused by bad publicity. Your post may serve as an incentive to end the dispute in your favor and a stern warning to other operators with similar intentions. Before you register an account make sure that the operator offers a variety of deposits and cash-out methods. How long does it take before you receive your cash? What’s the maximum withdrawal limit? Are certain games tied into the withdrawal limit, i.e. progressive wins? Start by playing for free. Avoid operators that don’t offer free games. The reason why free games are important, it gives you a chance to try out the software and to familiarize yourself with a specific game before you play for real money. Only play at sites whose slots machines allow you to gamble with minimum values ranging from (nickles, quarters and euros) to maximum. Compare the promotional offers of three or four internet casinos. Is the operator’s software regularly audited by TST (Technical Systems Testing) or eCOGRA and does it post the findings of the audit report (average payout for the various games) on its website? Remember that the world of online gambling is devoid of law and order. It’s important that you keep tabs on your expenditures and track of your wins and losses. Choose your games wisely. Play simpler games such as slots, keno or roulette that require very little expertise. Unfortunately these games also have a bigger house edge. If you decide to play blackjack, baccarat or video poker make sure that you understand the game rules. Although intuition is great, it still does not beat mathematical odds. It’s impossible not to lose, it’s all part of the game. If you’re a regular player, draft a long-term strategy and stick to it irrespective of fluctuations in your bankroll.